Lee Musiker is a Grammy and Emmy award-winning pianist, conductor, music director, arranger/orchestrator/composer & educator. He has collaborated with the premier artists in the Classical, Operatic, Broadway, Jazz & Pop music genres including; Joshua Bell, Tony Bennett, Andrea Bocelli, Chris Botti, Michael Bublé, Barbara Cook, Michael Feinstein, Renée Fleming, Lady Gaga, Josh Groban, Marvin Hamlisch, Diana Krall, Jerry Lewis, Seth MacFarlane, Wynton Marsalis, Audra McDonald, Maureen McGovern, Buddy Rich, Sting, Barbra Streisand, James Taylor, Mel Tormé & Dawn Upshaw. 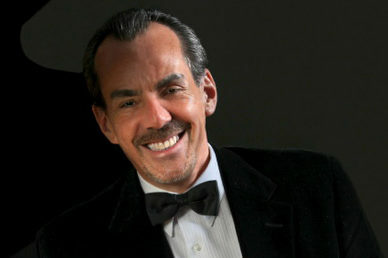 A Steinway Artist, Lee Musiker has performed with the NY Philharmonic, NYC Ballet, American Ballet Theater, Orpheus, Hollywood Bowl, Philadelphia, San Francisco, London Symphony Orchestras; & the NY, Boston, Cincinnati & Philly Pops. Mr. Musiker has guest conducted the NY Philharmonic, Baltimore, Chicago, Dallas, Denver, Detroit, Houston, Milwaukee, Pittsburgh & National Symphony Orchestras. Lee has appeared as guest on NPR’s Marian McPartland’s “Piano Jazz” & Judy Carmichael’s “Jazz Inspired”.